Order in the next 725 and get it tomorrow! 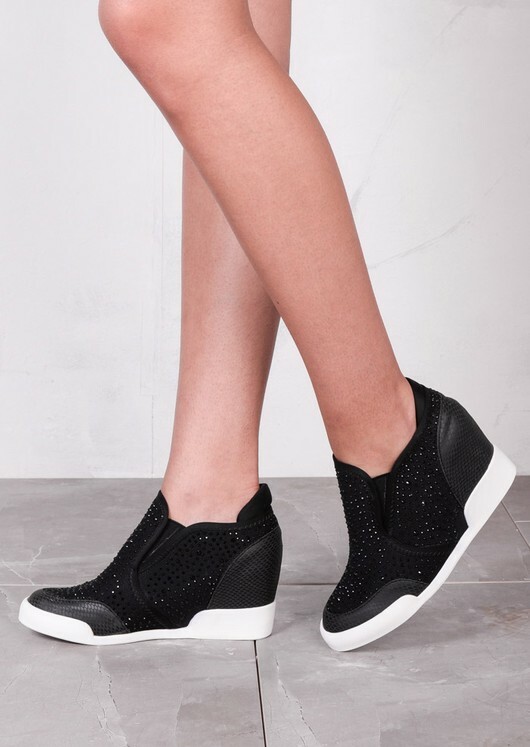 Take you trainer glam game to the next level and prepare to dazzle with these black jewel studded hi top wedge trainers . Shoes feature a thick white wedge sole, snakeskin detail, gorgeous jewel studs and stretch back. 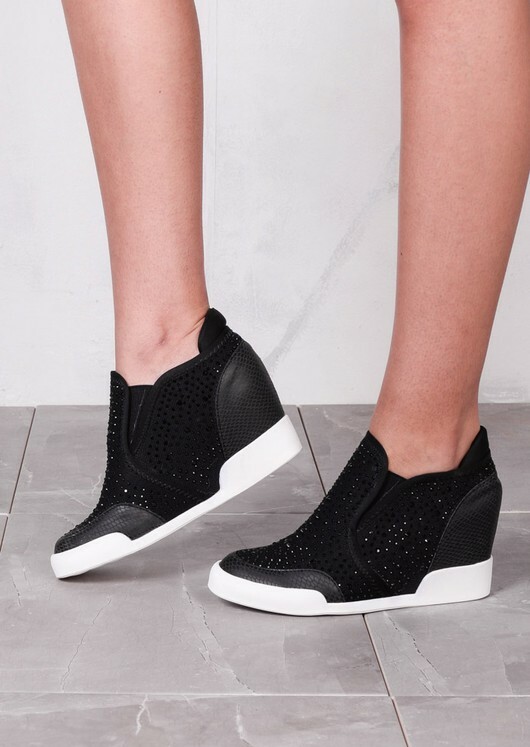 Style these beauts with skinny jeans or leggings and a crop top for a fresh kickass look.